First of all, before I forget, we are now on Instagram! I have wanted to do that for a very long time and today I did it! We are @ cookswithevie. I have so many posts to finish! I hope I can get time to post them soon. 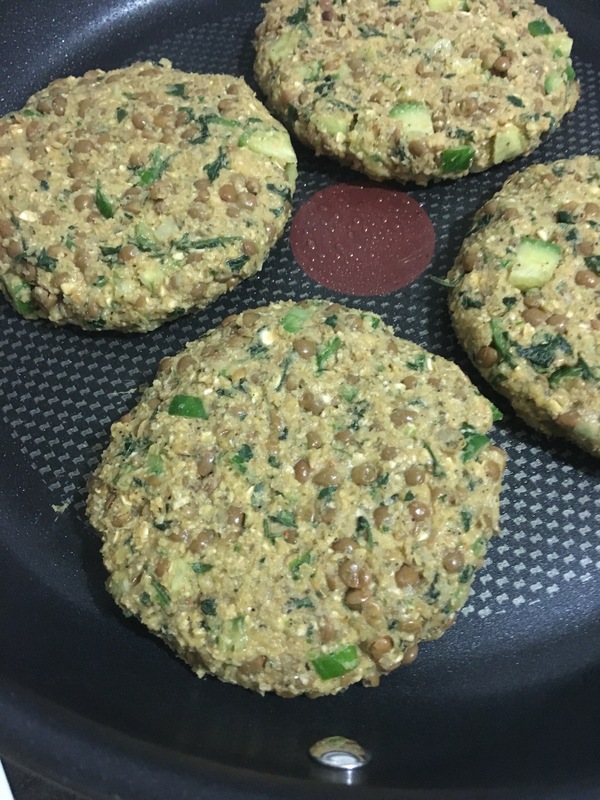 We made these “burgers”, next time I want to try these on pita with tahini and hummus. 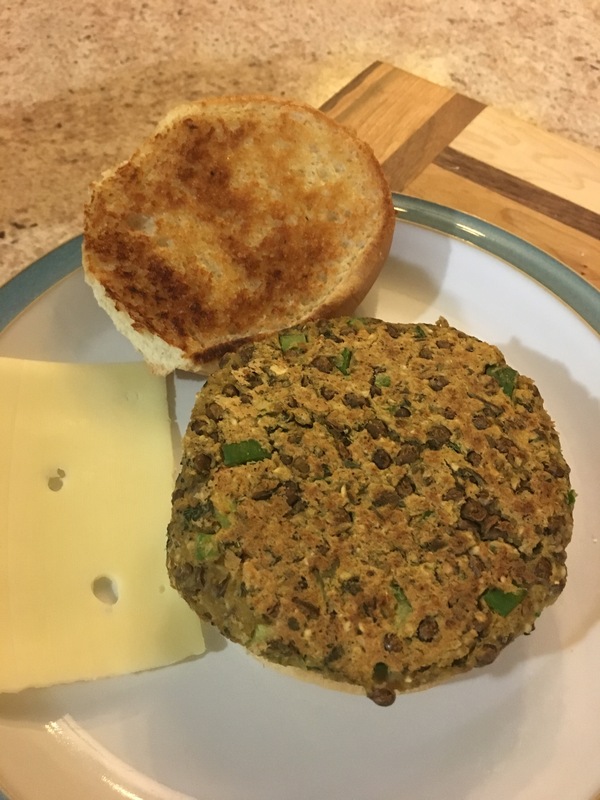 I wasn’t prepared this time and just used the buns we had. 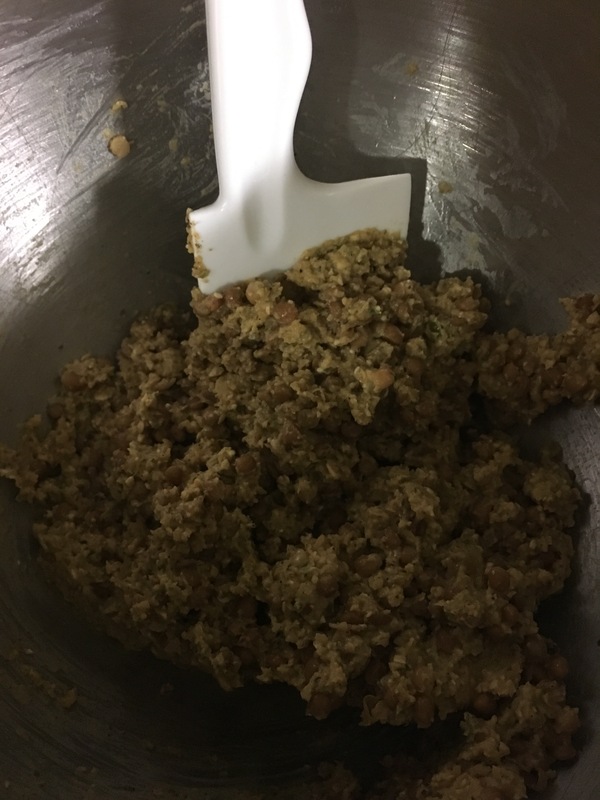 Whirl oats in food processor until ground. 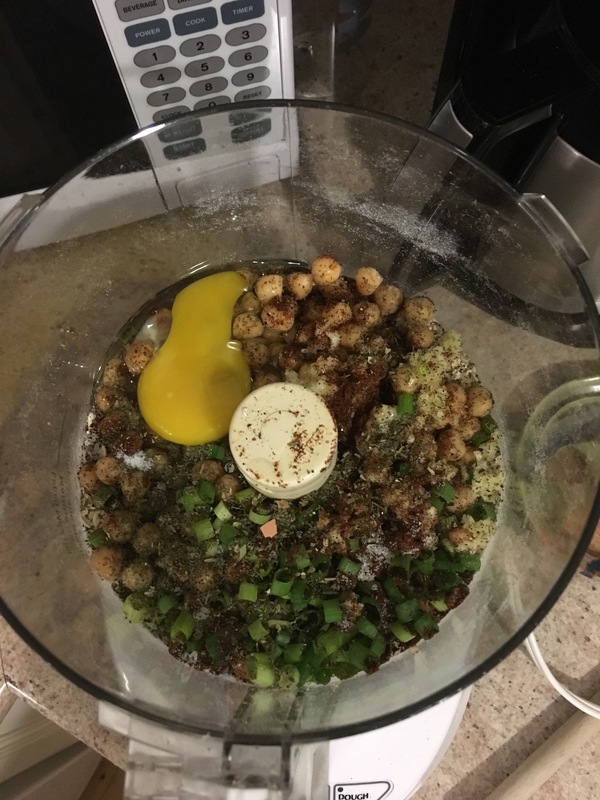 Add in chickpeas, garlic, onion, egg, chili powder, oregano and salt. Process scraping down sides as needed until smooth. 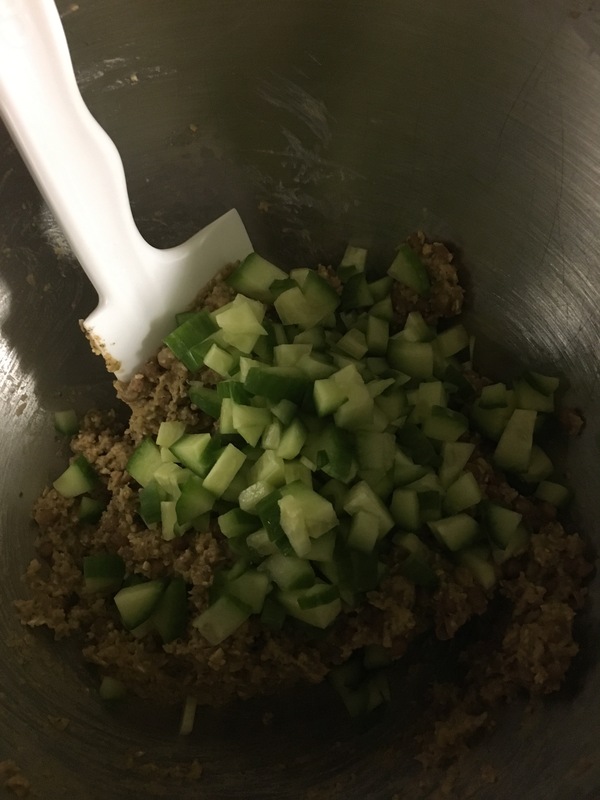 Place this mixture in a bowl and stir in lentils, cucumber and parsley. 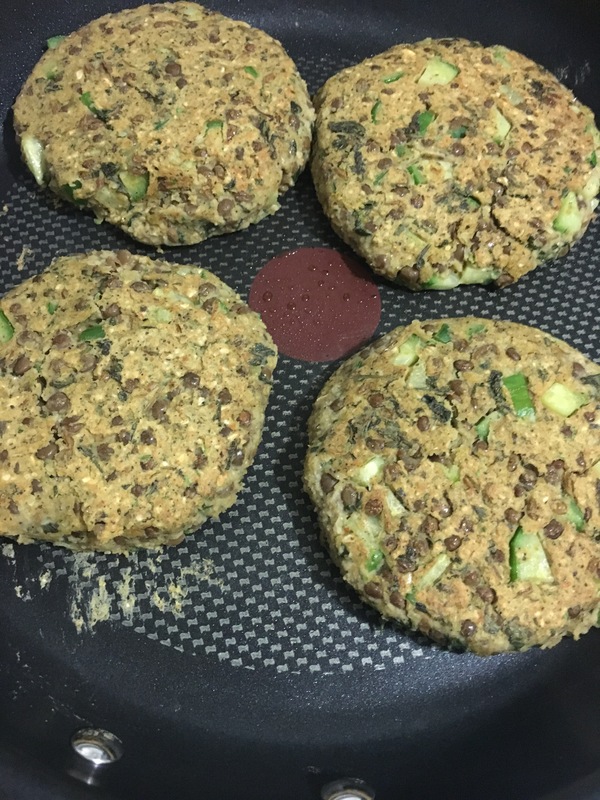 Cook patties in a lightly greased pan until golden on each side. We served on buns drizzled with tahini. And added whatever each person felt like adding. 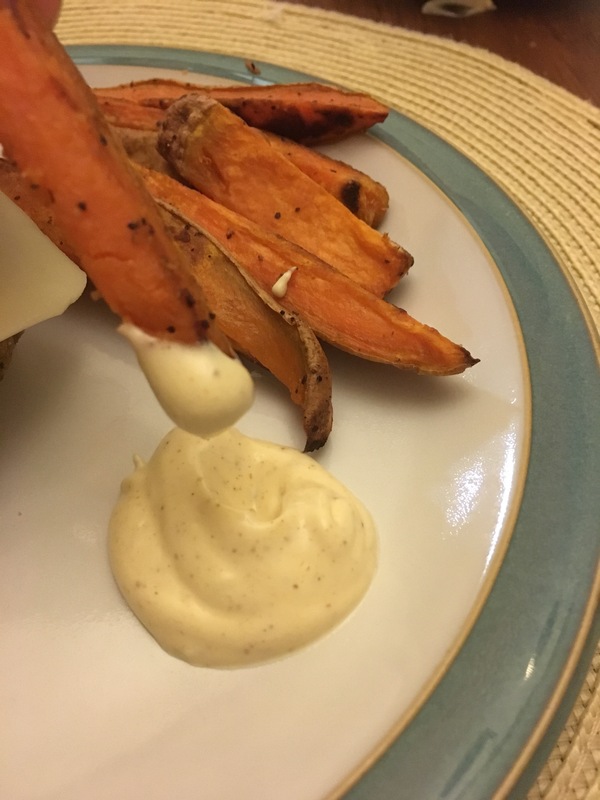 We also served with these baked sweet potato fries with curry lime dip. That super simple recipe will follow tomorrow.